The recent airing of the TVNZ Sunday program featuring Willi Huber has raised some disturbing questions. At a time when the New Zealand government’s policies towards refugees from the Holocaust were highly restrictive, it appears that Nazis were able to immigrate to this country. This ‘alien book’ was not issued to Huber because he had been part of the Nazi Waffen SS – a criminal organisation that was responsible for numerous war crimes. It was issued to all immigrants from Germany at that time – Jewish refugees and Nazi sympathisers, alike. Remarkably, some of the Nazi sympathisers and Jewish refugees were interned together on Somes Island. Mr Huber, however, was more than just a Nazi sympathiser; he was an active member of Hitler’s most notorious armed unit. The question, which was not asked of him during the TVNZ Sunday interview, is whether Huber was honest about his role with the Nazi Waffen SS in his immigration or naturalisation application to New Zealand. Did Huber lie to the New Zealand government about his Nazi involvement or is it possible that New Zealand officials knew his background and allowed him to enter our country? Huber proudly admitted he volunteered to be a Nazi Waffen SS soldier on the TVNZ Sunday show. If Wilhelm Willibald “Willi” Huber was as honest about this when he entered New Zealand in 1952 then those responsible for immigration – Police Commissioner John Bruce Young, Minister of Immigration Bill Sullivan, and Minister of Internal Affairs William Bodkin – knowingly and willingly admitted a Nazi Waffen SS soldier into New Zealand. Mr Huber may not be the only suspected Nazi war criminal to have immigrated to New Zealand – up to 46 wanted Nazi war criminals were believed to have fled to New Zealand after World War II. However, none were ever brought before a court of law. New Zealand was the only Anglo-Saxon democracy that chose not to take legal action against the alleged Nazi war criminals. At a time when there is controversy around granting citizenship to a billionaire because he hadn’t spent 70% of his time in New Zealand over the previous 5 years and Internal Affairs has been ordered to release more information about Peter Thiel, TVNZ Sunday has uncovered a much more unsavoury history of New Zealand immigration. TVNZ’s sympathetic portrayal of a Nazi Waffen SS member has raised disturbing questions about New Zealand’s history. On the one hand, the New Zealand government employed a harsh and restrictive policy towards refugees who were the victims of the Holocaust, while apparently allowing Nazi Waffen SS members to immigrate to New Zealand. 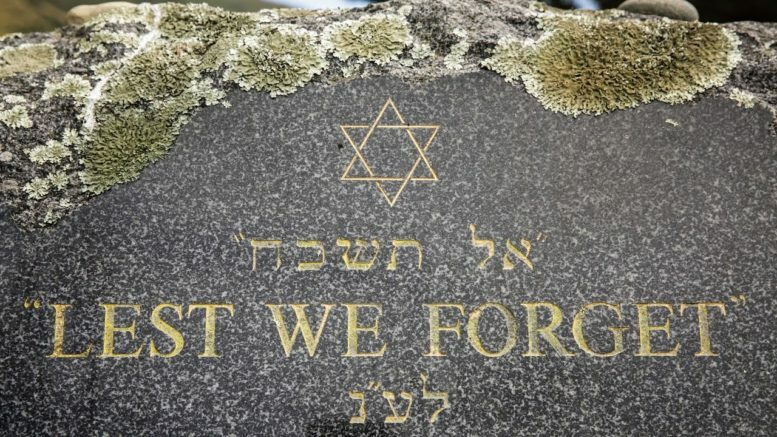 The government’s decision not to take legal action against alleged Nazi war criminals leaves a nasty taste in the mouths of fair-minded New Zealanders, particularly those who suffered under Nazi persecution and whose family members were murdered. When will there be a serious investigation into how Nazi SS soldiers were allowed to enter the country and gain citizenship and why did the New Zealand government fail to take any action against alleged war criminals living in the country?